SPEND AN UNFORGETTABLE NIGHT AT THE ARENA DI VERONA WITH US During the expo Milano period, you will have the opportunity to participate to another unmissable event: the Arena di Verona Festival. The travel package includes the accommodation in a 4-stars hotel in the heart of Verona and the tickets (sector D/E) to attend an opera performance. The Arena di Verona Festival takes places every summer in the ancient Roman amphitheatre situated in the heart of the romantic Verona. During the expo 2015 period, don't miss the opportunity to spend a few days in Verona to discover the romantic city of Romeo and Juliet and to participate to one of the opera performances scheduled this year. Our travel package includes one night in a 4-stars hotel in the city centre, not far away from the Arena di Verona. Furthermore, close to your accommodation you can find the most important monuments of Verona. Your hotel has large open spaces and high-quality furniture, elegant and comfortable rooms. In the restaurant you can taste the best Italian food specialities. The purpose of this event is to promote the art and cultural heritage of our territory, in particularly Verona (declared World Heritage Site by Unesco) and its unique lyrical festival. The expo offers the opportunity to make known places and events (like the one we suggest) that characterized our country. Our travel package is linked with expo subjects because is about promoting art, culture and territory. The Arena di Verona Festival takes place from the 16th of June to the 6th of September in conjunction with the expo 2015. You can find the performances program on the Arena di Verona website. Our travel packages is available during the all lyrical festival period. All bookings must be reconfirmed depending on the availability of the amphitheatre. 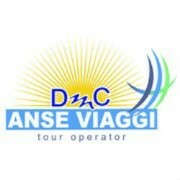 Anse Viaggi is an incoming Tour Operator based in the north-eastern Italian city of Verona. We organise tours and itineraries in the north of Italy, our purpose is to make known the innumerable attractions northern Italy has to offer. Our tours can be arranged, depending on our customers’ needs, for both groups and individuals. We offer different daily excursions and experiences that can be inserted into a tour or purchased separately. We also organize business events and meetings for companies. Anse Viaggi, supported by the professionalism and passion of its team, offers the industry an Events and Destination Management Company in and around Verona, Lake Garda and Northern Italy. With twenty years of experience in its field, the underlying philosophy of our company is to consider each client as a unique and integral part of the planning process. In conjunction with this we offer contractual flexibility, a high level of technological support, and the refined professionalism of our staff. Our in depth research ensures a quality of service guaranteed to offer a high level product with a price and quality which is second to none. We provide a personalized service for events, conferences, seminars, dinners and corporate meetings. We also provide budget planning, communication and press office facilities, liaison with local authorities, sourcing of ideal locations, accommodation, bus and limousine transfers, hostesses, galas, service and convention facilities, technological equipment, tours, refreshment facilities and Gourmet experiences. Our value is in our ability to give our customer what they really need and want. To develop a sense of belonging, to create unity and to improve relations within a group of people working together. Trust among people, group identity, quality and effectiveness of communication are intangible factors and determinants for the success of a team. Team building works to stimulates a strong involvement of participants, both physically and mentally. We can help the bride and the groom to organize their wedding in Verona and its surroundings, and to make it a unique and special event. In cooperation with a professional wedding planner we will take care of every single aspect of the big day, from the documents needed and bureaucracy, to the arrival of the guests and more. If you wish to spend your wedding day at home why not come over for a fabulous Stag Do or Hen Do!!! Marathon, triathlon, rugby, skiing, hiking, via ferrata, rafting...whatever sport you like or you want to try we will help you do it. We can take you to the Alps for a week’s holiday, a regatta in Venice, karting in Franciacorta, a rugby competition or a golf holiday with four different golf courses within 30km.